Don't be fooled by Evil Otto's smile. It's deceptive. 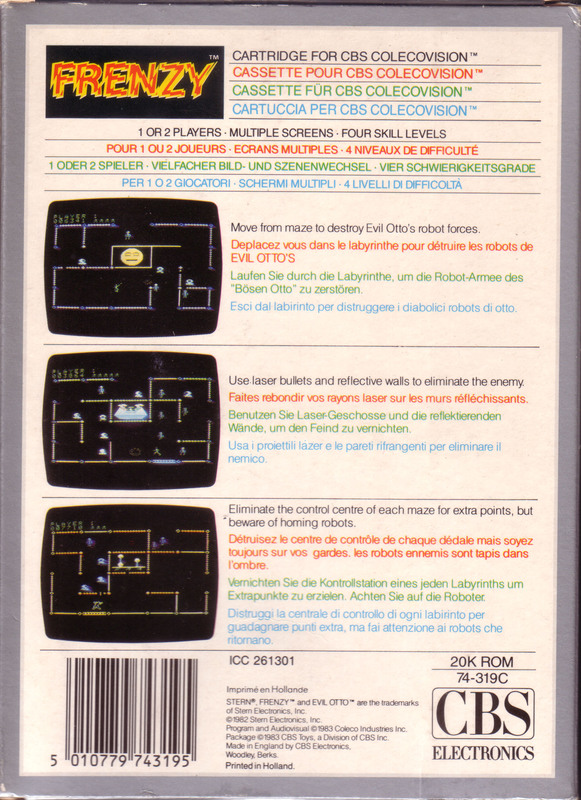 He, the robots and the skeletons are out to get your Commando! 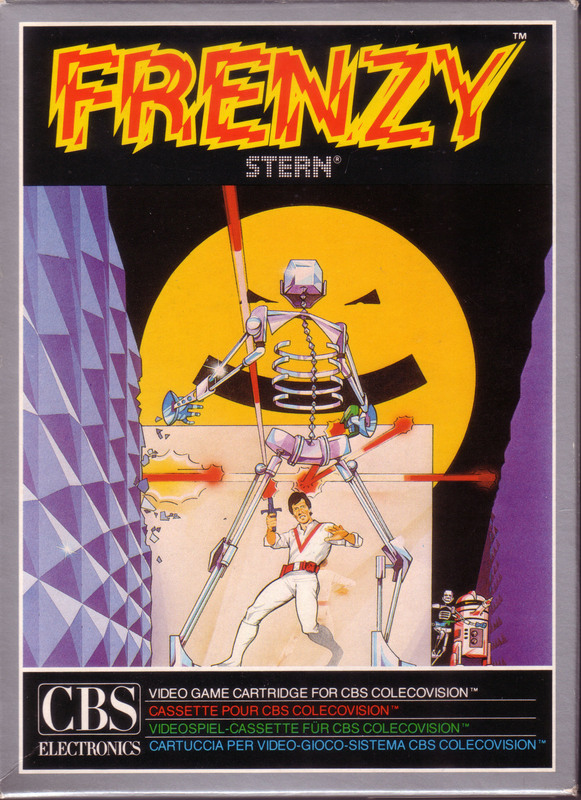 Trapped in a bizarre, alien high-tech structure and surrounded by robots, your Commando moves from cell to cell as you face a band of deadly mechanical monsters. Odd marching skeletons clunk toward you. Robotic tanks trundle into position. Face your enemy and fire, or be doomed by their fatal touch! Eliminate all automatons and proceed to the next assembly. 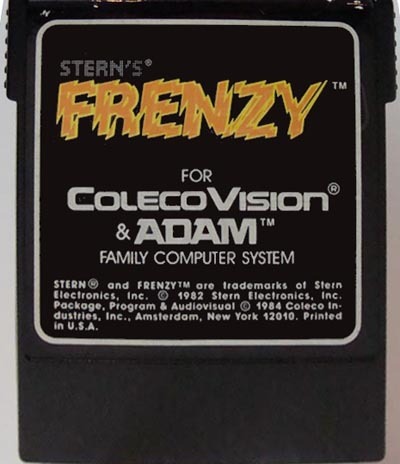 Stay alert! Your enemies now fire deadly blasts. Some cell walls ricochet the blasts--both yours and your enemy's, so watch where you fire! Worst of all is Evil Otto, the bouncing menace who passes through walls and destroys any creature on contact. 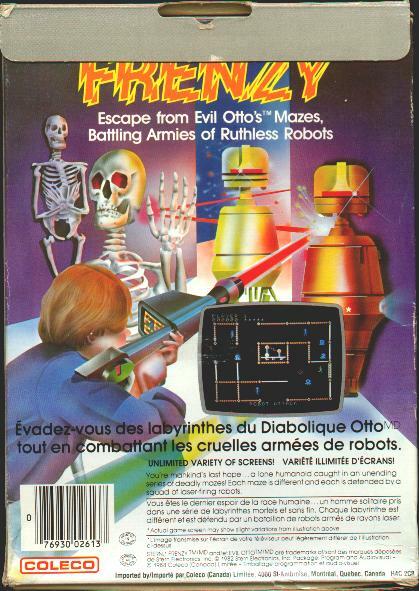 It's a bizarre battle for survival as Evil Otto bounces toward you! Will you make it? 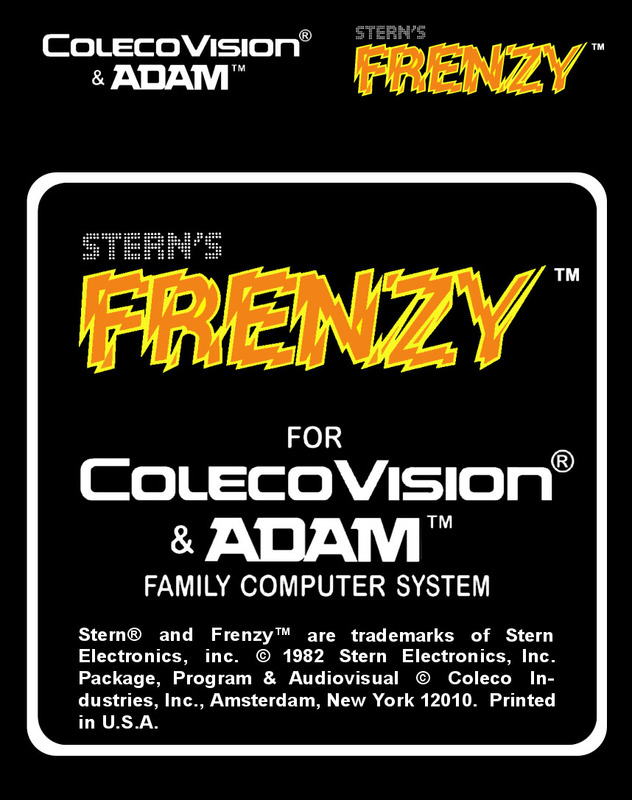 Port of Stern’s arcade game released in May 1982. 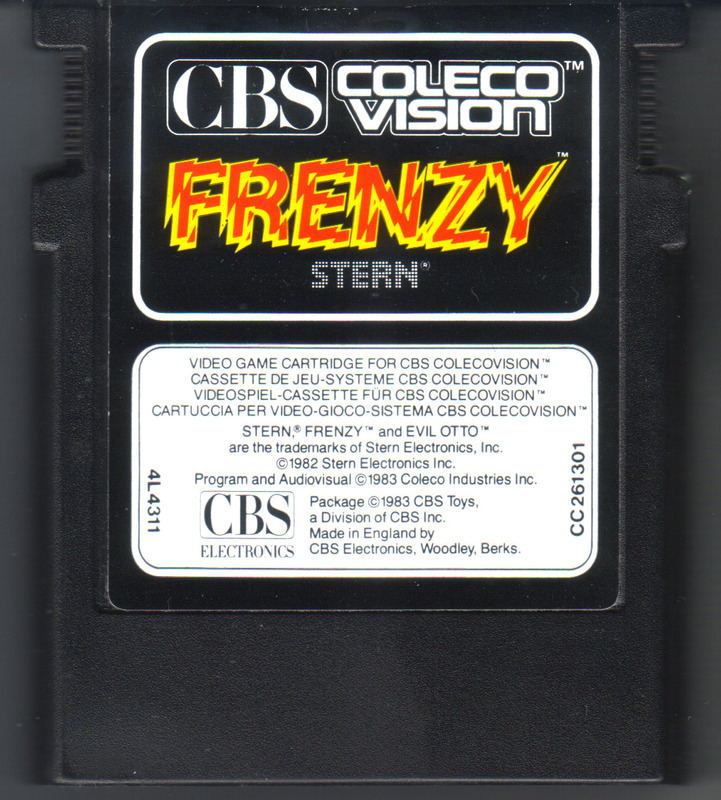 Frenzy was a sequel to the hit 1980 arcade game Berzerk. 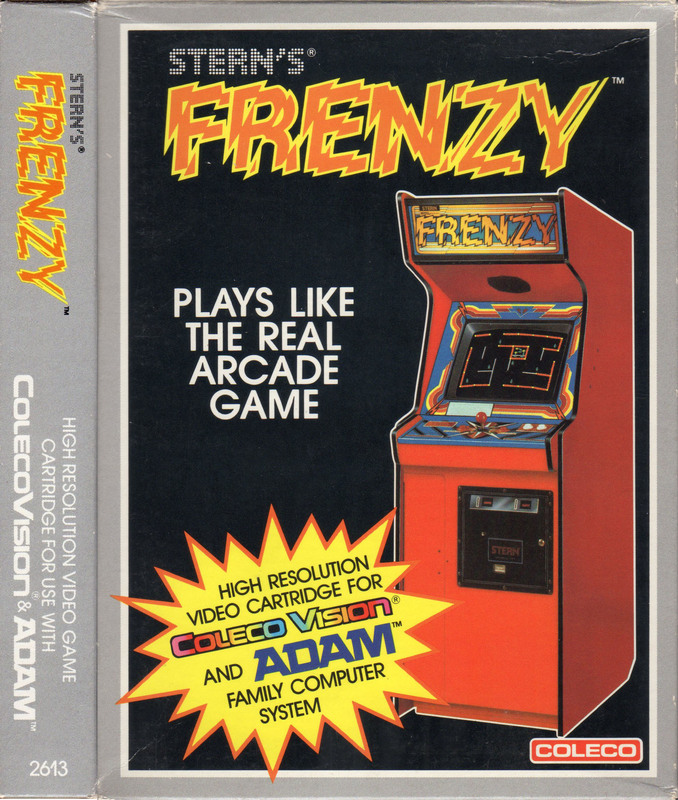 Frenzy was a less popular game than Berzerk in the arcades, possibly because it was even more difficult. Pressing "#" during the game resets the game.